This recipe came onto my Facebook feed on Thursday just before I was due to pick up my daughter from school. The only ingredient I had at home was the yoghurt so I needed to go and get the other ingredients, as I really wanted to try this. I didn't feel like going into my normal supermarket, luckily my daughters school is near a convenience store that had the jelly, and I have to drive past a really good fruit shop on the way home, so I stopped and picked up the strawberries and lemons. I love the location of my daughters school for the ease of picking up last minute things for dinner. I knew I wanted to try this, just for the fun of it, what I didn't expect was how good it tasted. This turned a packet of jelly into one of the most refreshing desserts I have tried. it wasn't sweet, which I thought it would be, it was light and fresh. My whole family absolutely loved it. I found the recipe on taste.com.au, it is an Annabel Langbein recipe, and as I do like her recipes, I knew it was one to try. Now Annabel tops her mousse with a dollop of natural yoghurt, I chose to top it with slightly sweetened whipped cream. Do either one, I just felt like cream, and it works so well with the mousse. Mix the jelly crystals with the sugar in a heatproof jug, add boiling water and stir until jelly is fully dissolved. Place the strawberries with the lemon juice and vanilla in a food processor and blitz until smooth. Add the jelly mixture to the strawberry puree and stir well. Place a sieve over a bowl and strain the strawberry mixture into the bowl, you want to get rid of a few strawberry seeds (it doesn't matter if a few seeds get through, you just want some of them gone, so don't use a super fine sieve). 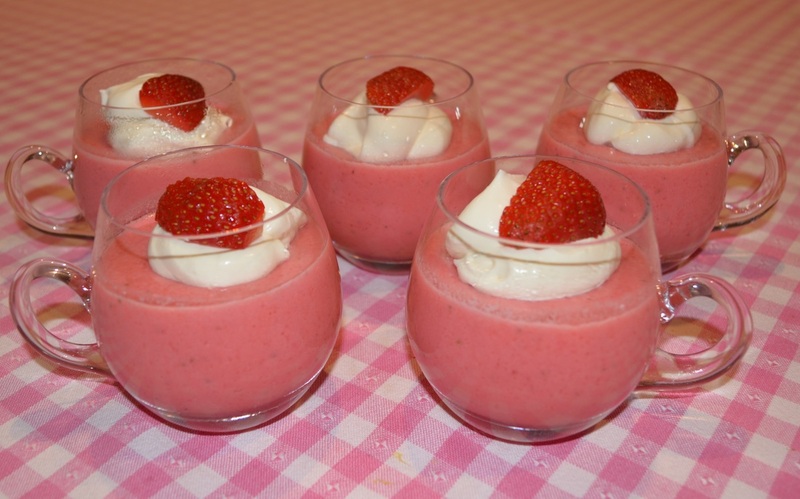 Stir the yoghurt into the strawberry mixture. Pour the mixture into a serving bowl or individual glasses and chill for at least 4 hours or overnight. When ready to serve, mix the sliced strawberries with the icing sugar and vodka (if using), allow to macerate for 10 minutes. Place the cream and extra icing sugar in a small bowl and whip until soft peaks (don't over whip). 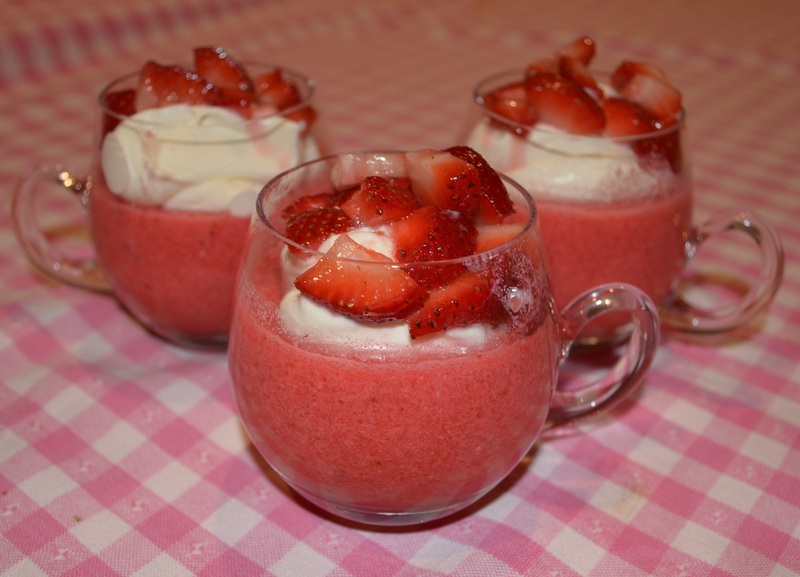 Top strawberry mousse with a dollop of whipped cream and some macerated strawberries. Serve immediately.